Sometimes science experiments are complicated and require a lot of materials and detailed instructions. However, science experiments can also be incredibly simple while being just as fun and interesting. Setting up an ant experiment is fascinating for kids and adults alike and is definitely a simple experiment for kids that can be repeated over and over again. I suggest setting it up and then heading over to try other sun science experiments while the ants to do their work! This summer science experiment is very simple and basically takes no time at all. All you need to do is gather up a few bits of food from a picnic and place them near some ants. It’s probably best to place the food several feet away from your house so the ants don’t come inside! We had our best luck placing the food on concrete so that we could really see where the ants came from and where they were going. What kind of food do you think the ants will enjoy the most? Make a hypothesis! We used a raisin, a slice of apple, and a corner of a peanut butter and honey sandwich. It surprised us which food the ants preferred! Watch what the ants do. Do they carry pieces of the food away? Where do they carry the pieces? Do the ants follow the same path every time? Do they help each other or do they fight? Check your food after one hour. Are there more ants? What are they doing? If you move the food an inch or two to one side, what happens? What do the ants do? Watching how ants work together can be fascinating. Ants leave trails of chemicals called pheromones that alert other members of the colony that there is food on the path. This is why each member of the colony continuously walks the same route to the food and back to their nest. What happens if you place a leaf or a rock in the middle of their path? This ant experiment will turn a lazy summer afternoon into an exciting discovery of ants and their behavior. I could have sat and watched the ants carry away crumbs all afternoon! 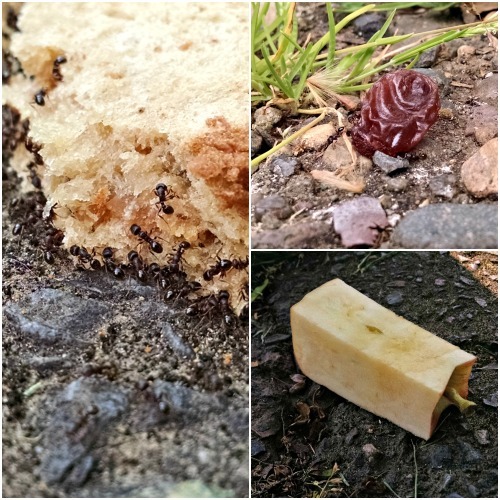 I was lucky enough to get some of the highlights of the ants carrying away our sandwich on video. Watch as they struggle and work together to carry huge crumbs away! For a couple more fun and simple experiments for kids check out Surface Tension from Suzy Homeschooler or Magic Milk from Little Bins for Little Hands. 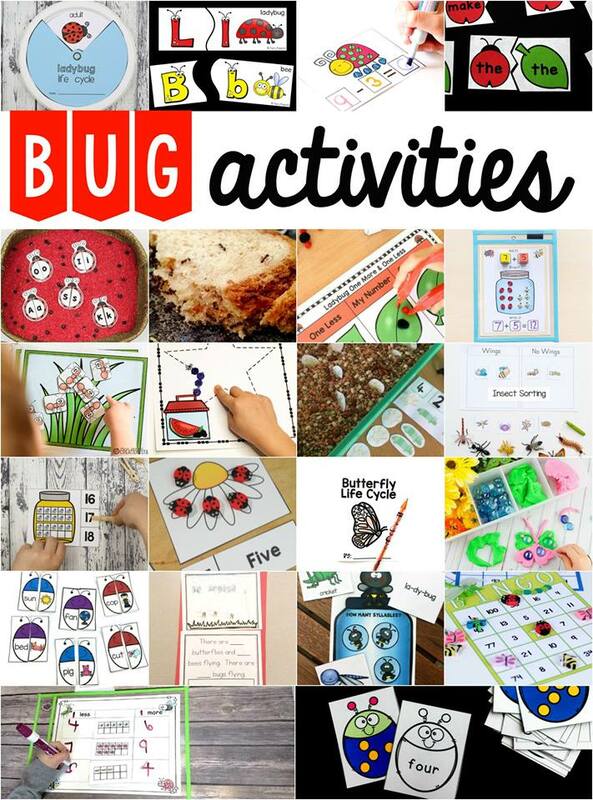 And for over 20 more bug-themed learning activities for kids, scroll down and click on the links! 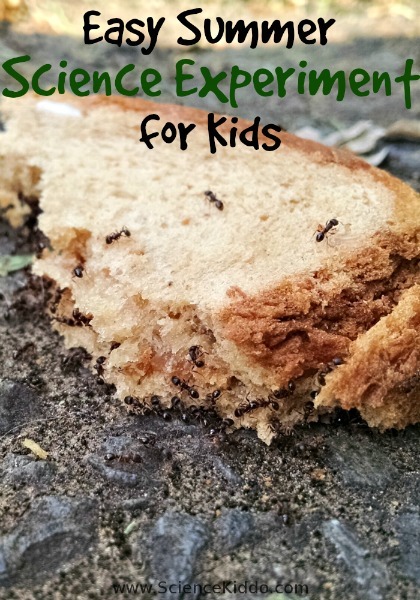 Ants and sandwiches – This is real science! I love it.